(09/25/2013) Minor Hotel Group (MHG), a hotel owner, operator and investor, has announced the formation of a long-term strategic partnership agreement with Rani Investment LLC, the Dubai-based Investment firm of Aujan Group Holding and the owner of high end resorts across Africa. The two organisations have formed a joint venture company for ownership of Indigo Bay Resort & Spa in Mozambique, with plans for further expansion in Africa. 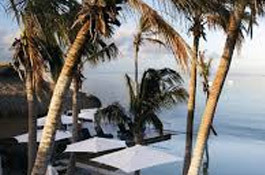 Located on Bazaruto Island, 30km off the east coast of the country, Indigo Bay is a five star 44-villa resort, and will be re-branded as Anantara Bazaruto Island Resort & Spa later this year and managed by Minor Hotel Group. This new addition to MHG’s portfolio takes the number of properties in operation to 94 and adds a new country of operation, taking the total to thirteen. The new strategic partnership will explore more opportunities in Mozambique, including in the capital Maputo, and in the vibrant East Africa market to further strengthen MHG’s presence on the continent. These properties will be a mix of new-build and re-brand and will be flagged with MHG’s international hotel brands, including Anantara, the recently launched contemporary upscale brand AVANI and the serviced apartment Oaks brand, which is currently expanding into Asia and the Middle East. Dubai-based Rani Investment is the investment arm of Aujan Group Holding with more than US$300 million of dedicated investments in the Middle East and Africa. Rani Investment is the largest private hospitality owner-operator in Mozambique, having first established its presence in 1999 under the Rani Resorts name. Minor Hotel Group (MHG) is a hotel owner, operator and investor, currently with a portfolio of 52 hotels and 42 serviced suites in operation under the Anantara, AVANI, Per AQUUM, Oaks, Elewana, Marriott, Four Seasons, St. Regis and Minor International brands in Thailand, Indonesia, Vietnam, Malaysia, China, the Maldives, Sri Lanka, Tanzania, Kenya, Mozambique, the UAE, Australia and New Zealand. AVANI was created to complement MHG’s five star Anantara brand which currently offers enriching destination experiences in 23 locations with a target of 50 properties in operation and under development by 2015.